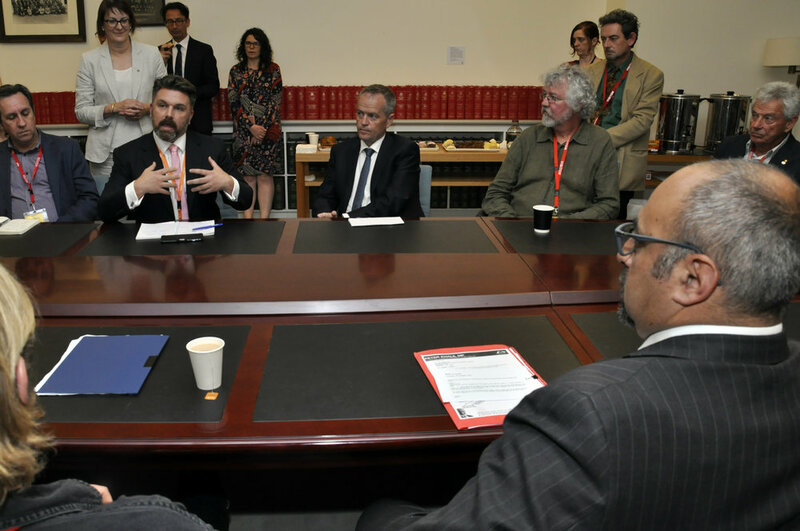 Some of the giants of Australian film and TV have today descended upon Parliament House in Canberra to directly lobby politicians to support the industry’s future. Actors Bryan Brown, Sigrid Thornton, Sean Keenan, and Matt Day, actor-director-writer Leah Purcell, directors Gillian Armstrong and Peter Duncan, writer Katherine Thomson, Oscar-winning cinematographer John Seale and sound technicians Ben Osmo and David White, special effects guru Dan Oliver and producers Penny Chapman and Michael Tear are among a high-profile delegation from the Make It Australian campaign. The campaign has brought together the Australian Directors’ Guild, Australian Writers’ Guild, Media, Entertainment & Arts Alliance and Screen Producers Australia as well as members of the Australian Screen Industry Group to push for reforms and government support to ensure the sector’s sustainability into the future. It was launched nationally last month and nearly a thousand Australians attended launch events in Sydney, Melbourne, Brisbane, Perth, Adelaide and Hobart. The four groups are also determined to fight any attempts by free–to-air commercial networks to reduce drama production and walk away from original children’s programming altogether. “Without a new regime of quotas and content regulations there will be no scripted drama, no kids television, and no stories or culture of our own to pass on to future generations whose screens, as well as their hearts and minds, will be filled instead with foreign content and reality shows.” said Jan Sardi, president of the Australian Writers’ Guild.